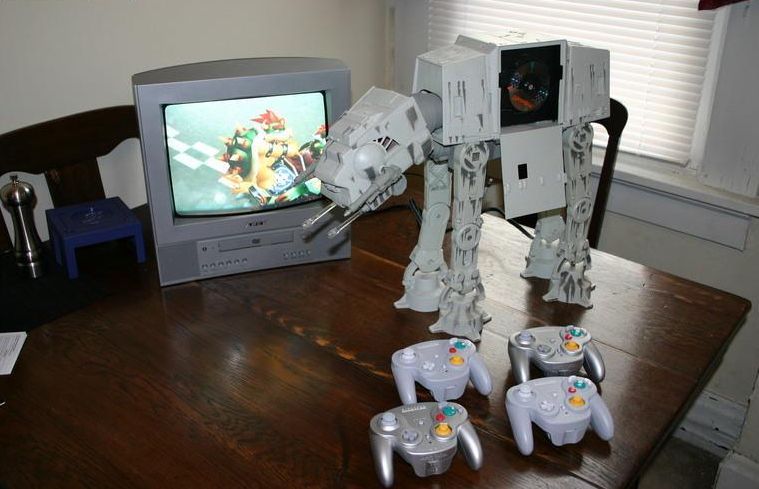 This is hands down, the best mod with a Game Cube, ever. I’m not sure who did this (please let me know). It’s a Star Wars ATAT- from the looks of it, it seems like it’s an almost perfect fit. Link.